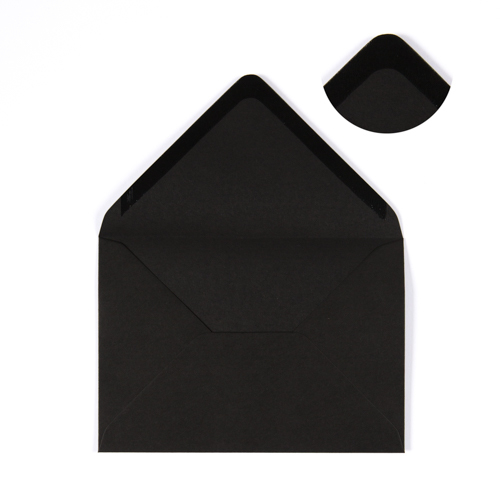 A very high quality C6 black coloured 100gsm gummed diamond flap greeting card envelope. Perfect for every occasion and made from sustainable sources. 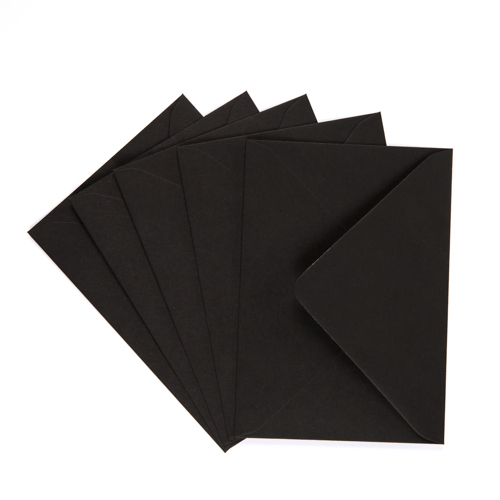 These black C6 envelopes are to fit A6 documents. Size of C6 black envelopes : 114 x 162 mm / 4.49" x 6.38"
Incredibly reactive and helpful service. Product was first class. Really impressed and have since logged on a 'favourite supplier' list! We have been buying from these guys for many years. Great quality Great service. Can't fault them. Value for money envelopes and fast delivery. The only downside was the colour (in my case black) from the envelopes rubbed off onto the white invitation I put inside which left them looking a grubby.